Give your resume and cover letter a boost! You’ve got the background, you’ve got the skills, yet somehow you can’t secure job interviews. The answer most likely sits in your resume and cover letter. 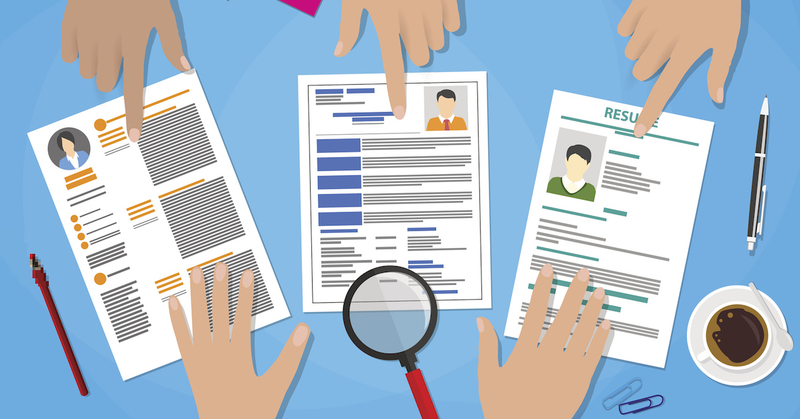 Like it or not, resumes are still key in the recruitment process. There are many comprehensive guides on how to write resumes , and ideas for rethinking your approach abound. But here are 4 practical insider tips on how to improve your resume today. 1. Start off with a call to action or a resume objective. As suggested by Craig Ballantyne, you should treat your resume (and cover letter) more like a sales letter. Rather than explain what your background is, focus on what you can do for your potential employer. A resume objective is pretty much a sales pitch — it’s a short but pointed statement that explains what you’ve achieved and what you can do for the employer. It’s important to put this section at the top of your resume. Recruiters spend just a few seconds scanning each resume, so the top third of the document is premium real estate. Outgoing Sales Representative with a degree in Marketing and +2 years of experience in insurance sales. Seeking to leverage professional expertise to grow in the new role of Junior Brand Manager at Company X. 2. Figure out what skills are required. Job postings are rich in valuable info. This includes hints at what skills you are required to bring to the table. Have a look at the job ad and put on your keyword goggles. Scan the ad, then highlight words and phrases referring to abilities and traits. Make notes and decide which of them you possess and can highlight. You’ll need them for the next steps. 3. Show off your skills. A good resume objective will make recruiters bite. Now it’s time to reel them in. Since you’re trying to sell yourself, you need to let your unique features shine through. Don’t make your resume a boring list of previous employers. Show the reader what you’ve got by focusing on skills in your resume. This is where the combination resume format comes in handy. The combination resume format is pretty much another take on the classic reverse-chronological format. You’ll still create a work experience section, but instead of providing vague descriptions of positions you’ve held over the years, you’ll group skills you’ve used on the job under specific subheadings. Spearhead sales team reassignment to boost total sales revenue by 10%. Head up and manage a team of 5 sales representatives responsible for acquiring clients online. Project management involving the motivation of 20 sales representatives dealing with reluctant prospects. Orchestrate the creation of internal digital communications between different departments. Organize, write, and communicate the daily schedules and activities of 3 sales teams. Tip: This resume format may not be necessary for everyone. However, changing jobs and shifting career paths is increasingly common. If you’re transitioning between industries, you need to make use of this format. Since you haven’t held the position you’re applying for, you need to prove to the recruiter that you will excel. Be specific about your skills and illustrate them with examples. Whenever you refer to any skill, you need to tell the recruiter what it is exactly that you can do. Try to put numbers on your skills. For example, if you’ve consistently ranked in the top 5% of most effective sales reps at your company, say that. If you know your way around Google Docs, explain what you can do in each app of the suite (e.g., Google Spreadsheets — can create pivot tables, visualize data, and apps scripts). Yes, you need a skills section. Make your skills easy to find by listing them in the skills section. A skills section is very useful — both for you and the recruiter or hiring manager. This is where you can mention skills you acquired outside your previous jobs. What’s more, it’s a convenient checklist for the decision makers. 4. A cover letter isn’t just a resume with proper sentences. The right resume objective will attract the recruiter’s attention. A strong focus on what you can do for the company will improve your odds of sticking it. Then your cover letter should tip the scales in your favor and seal the deal. Unfortunately, many applicants don’t make their cover letters work to their advantage. Don’t just treat cover letters as resumes with proper sentences — relax, the recruiter’s read your resume. Now, they want to know more about you. They want to see how well you’ll fit in with the company, what you can do for them, and if scheduling an interview is the right choice. So, here’s what you should be doing. Start off strong with a cut-to-the-chase introduction. This is where you should plug your skills and achievements again, while carefully suggesting how this would benefit the employer. What’s more, you should show the recruiter you understand and are compatible with the company’s culture. I am excited to apply for the position of Job X at Company X. I believe your company’s impressive success was made possible thanks to how the brand management team reframed initial challenges as opportunities. As a creative person with vast experience in the highly competitive field of insurance sales, I wish to use my communication skills and hands-on experience with challenging clients to help Company X continue to impress its clients with affordable, high-quality travel. In the next paragraph or two, you’ll give your relevant skills a plug. Avoid copy-pasting each and every one of them. Pick around three relevant skills you feel most confident about and explain how you’d benefit the employer. Show the recruiter they’ll find no one better. Follow these tips for the greatest odds of success. Bart Turczynski is a content creator, writer, and editor at Uptowork - a popular career advice website.